www.themusclecook.com – Join ”The Muscle Cook” Dave Ruel in his kitchen! Today, Dave prepares his famous ”Chili”. The perfect recipe is still being debated by cooks from Texas to New York and beyond. You will find my modest contributions to the lists of recipes below. Since there are beaucoup recipes available, I suggest you try them all. Just remember: the hotter they are, the quicker you’ll run out of antacids. Please note: Eileen Goltz is a freelance kosher food writer. The Orthodox Union makes no endorsements or representations regarding kashrut certification of various products/vendors referred to in her articles, blog or web site. I’m traveling a lot this year so my regular recipes that take time to prepare aren’t going to cut it. I decided that a big pot of chili with all the fixings and a bunch of store bought snackie stuff (chips, pretzels and the other usual suspects) will round out the menu nicely. However, that decision being made, I have the difficult task of deciding whether this will be a bean or no-bean kind of chili menu. That brings us to the age-old question of what exactly is the definition of chili. If you ask Wikipedia, they say the name is modified from the phrase “chili con carne,” which translates to “peppers with meat.” For all intents and purposes, chili is a stew made with some combination of peppers, meat, tomatoes, a variety of spices…and beans if you want them. Oh, and one last word: HEY PEYTON, GET BETTER QUICK. Tip: Use as lean a cut of meat as you can. You may also want to drain the fat from the cooked meat before you add the remaining ingredients. Greasy chili can really sneak up on you…if you catch my meaning! Tip: Several recipes call for beer; if you don’t drink you can use apple juice instead. 1. Heat oil in saucepan. Cook the onions and garlic until they are soft and translucent. Add beans, celery, red bell pepper, taco seasoning, basil, oregano and thyme. Mix to combine. 2. Add the tomato sauce, vegetable broth and tomato paste. Mix to combine and cook covered for at least 1 1/2 hours. Stir every 15 minutes to prevent sticking. Season with salt and pepper. From my files, source unknown. 1. In a large skillet, brown ground turkey and drain. 2. Add all ingredients to crock pot except the can of refried beans. Cover and cook on low 2 hours. 3. Add the mashed potatoes to chili for thickening. Cover and cook on low for an additional 2 hours. 1. In a large stock pot, brown the meat (the beef and sausage) and drain off the fat. Return the meat to the pan and add the garlic and onion; cook and stir constantly until the onion is translucent. 2. Add the tomato sauces, water, beer, chili powder, bouillon, cumin, paprika, oregano, sugar, coriander and cocoa. Mix well. Bring the chili to a boil then reduce heat to a simmer. Cover and cook for 2 hours. 3. In a small bowl, stir together the cornmeal and flour, then add the warm water and mix well. Stir into chili and cook, covered, for about 20 more minutes. Tip: You can serve with pareve sour cream and pareve cheese. Modified from slacker.blogspot.com (yes, it’s a real blog, I checked it out). This link was sent to me by reader Perry Nicson of NY who loves it. 1. In a large soup pot, cook ground beef. Drain and add 1 chopped onion, 1 pack of chili seasoning and 1/2 can tomato sauce. Mix well and cook for 20 minutes. 2. Add the remaining onion, chopped tomatoes, tomato sauce, tomato puree, honey, mustard, ketchup, beer, beans, chili seasoning, chili powder and pepper to taste. Bring the mixture to a boil, then reduce the temperature to a simmer. 3. Cover and cook 45 minutes to an hour, stirring occasionally. Submitted by Randy Karpton, Tucson, AZ. 1. Place all the ingredients into a crockpot. Cover and cook on high for 4 hours or until heated through. 1. In a large pot, cook the breakfast beef, onion and garlic. Drain when cooked. Add the remaining ingredients and bring the mixture to a boil. Reduce the heat and cover. 2. Stir every 20 minutes or so for the next 2 hours. Check to see if the meat is tender. If not, keep cooking. Tip: You can add more beer if the chili is too thick. Submitted by Irene Louis from Chicago, IL. Eileen Goltz is a freelance kosher food writer who was born and raised in the Chicago area. She graduated from Indiana University and the Cordon Bleu Cooking School in Paris. She lectures on various food-related topics across the U.S. and Canada and writes weekly columns for the Chicago Jewish News, kosher.com and the OU Shabbat Shalom Website. She is the author of the Perfectly Pareve Cookbook (Feldheim) and is a contributing writer for the Chicken Soup for the Soul Book Group, Chicago Sun Times, Detroit Free Press and Woman’s World Magazine. You can visit Eileen’s blog by clicking: Cuisine by Eileen. Betting on the big game is big business. Hours are spent compiling stats and figuring out the odds. The folks at the Gulf Specimen Marine Lab in Panacea say it’s a lot simpler than that. Paula the Octopus seems to think the Giants will win. "If Paula predicts the giants and the Giants win, all I can say is it’s an incredible question of how that happened. Is it just chance?" said Jack Rudloe, President of the lab. Two crabs, each in its own box. One labeled Giants, the other Patriots. Whichever she eats first, that’s the predicted winner. "I mean, the octopus is by far one of the smartest animals in the ocean. It’s very cool, but, um, you know, the sea turtle, everybody loves sea turtles," said Cypress Rudloe, Executive Director of the lab. In an unofficial experiment, we decided to check and see what other specimens in the lab thought. With Patriots and Giants papers in our hands, we waved them next to various sea creatures. A horseshoe crab and one other crab chose the Giants. A shark was given the choice of two fish to eat, one in front of the Patriots sign, another the Giants. The shark chose the Giants. Only one crab chose the Patriots. As for Paula the Octopus, she chose the Giants. "Octopus are smart animals, but, uh, the Patriots have it. I disagree with the octopus," said Cypress Rudloe. If Paula’s right, people who take part in sports betting might want to reconsider their sources. Have you considered using low cost recipes of soups/chili to serve your family or guests healthy, hearty, meals… money saving recipes (like in this Kindle book)… tasty chili recipes, and hearty soup recipes… for meal ideas… frugal budget recipes enabling you to really s t r e t c h your family’s food dollars? … with this Kindle book… your meal planning, and family food budget, can become far more manageable. It contains over 275 soups and chili recipes (and more). They’ve been carefully combined together for you into a unique presentation designed for your enjoyable viewing, and ease of use… providing you with many ways to serve delicious, nutritious, cost-saving soups and chili meals to your family and guests. You’ll have a plethora of Soup and Savory Chili Recipes at your fingertips, enabling you to serve tasty, healthy, economical, meals again, and again! So what’s in this Kindle book? 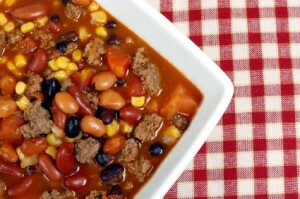 There are MANY ideas of ways you can make tasty chili for you, your family, guests…. hundreds of them, in fact… with mouth watering recipes ranging from the very mild to the extremely HOT and spicy! Many of the very best (a hundred and eighty of them!) have been included in this Kindle book, and this gives you a bounty of excellent chili recipes to choose from. A good batch of chili can be the heart of many of your family’s favorite meals. Few dinners satisfy more than a steaming hot bowl of chili on a cold autumn or winter day. It not only tantalizes the taste buds, it warms your body from the inside out. Plus… like cost saving, nutritious, soups… chili may also be a welcome treat anytime of the year, and used to ‘stretch the family food budget’ (especially when you take advantage of the hearty vegetarian chili recipes you’ll find in this unique Kindle book). Milder Chili … and more! To make this Kindle book pleasing to your eye and brain (as well as to your palate), you’ll find unique food-art work included for you… the beautiful watercolor paintings of Li Zhang, custom created expressly for this soups and chili ‘book’, which you’ll find is ‘chock full of’ money saving recipes… and tips… featuring hearty soup recipes, and savory chili recipes… providing you with plenty of healthy, low cost recipes, meal ideas for your family and guests. Vegetarian recipes are popular for their health benefits. This vegetarian chili is full of flavor and perfect for a party. Chef Jason Hill of Chef Tips explains how to make it. Chili dogs can be both filling and friendly to the waistline with clever usage of vegetables in the chili mix. Cook up a healthy chili dog and a low fat side salad with help from a professional chef in this free video on healthy cooking. And Many More Great Recipes..